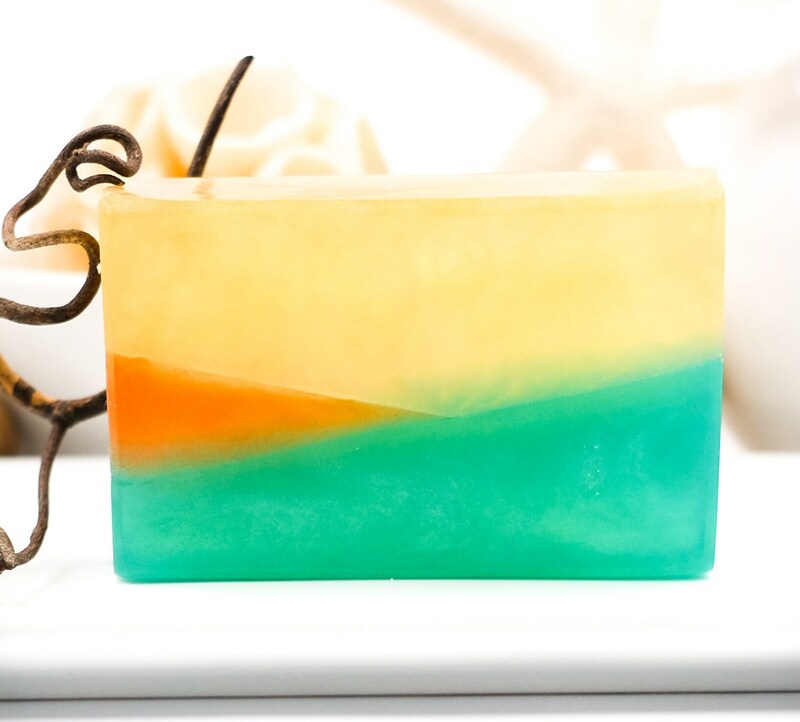 LUXURY LINE | Patchouli, Ylang Ylang, Vanilla Rosewood Soap Bar | 4oz ea. 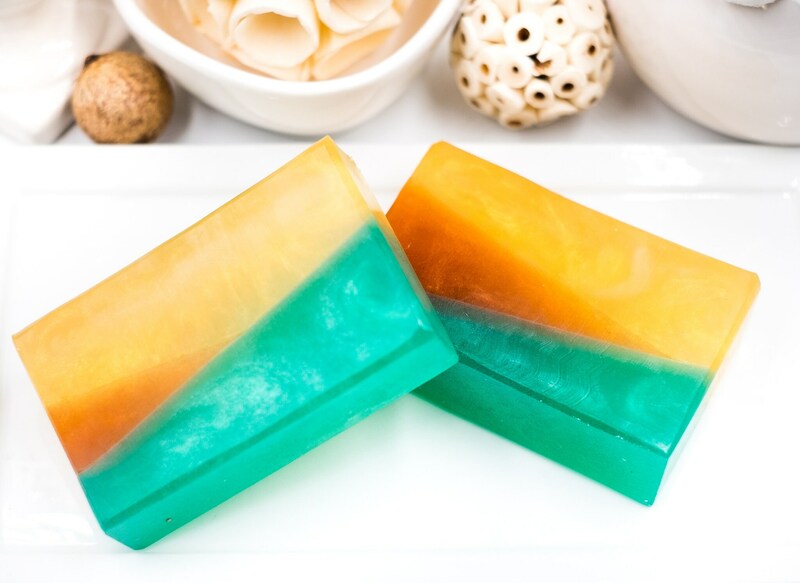 | Gold - Tangerine - Turquoise | Modern Flare! 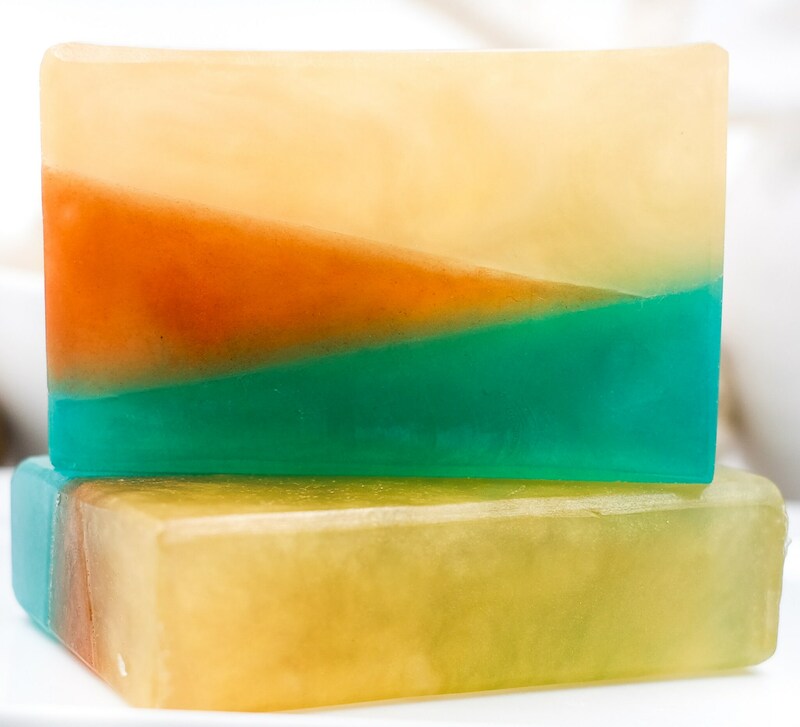 Our gold, tangerine and turquoise geometric bar is altogether unique with a MODERN TWIST of scent and design. 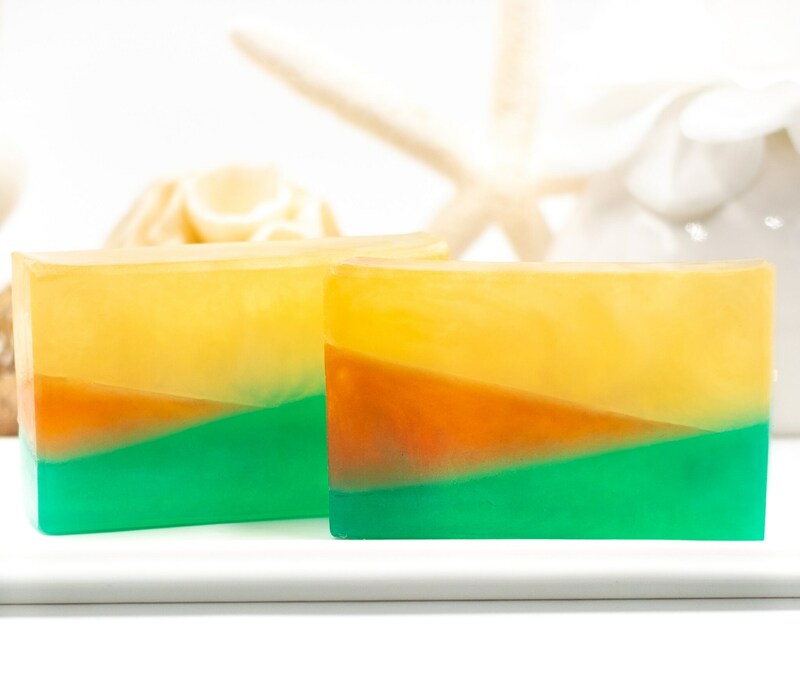 Scented with our special blend of essential oils, this bar radiates warm colors derived from earth's minerals. These minerals shimmer, creating it's EXOTIC appearance. 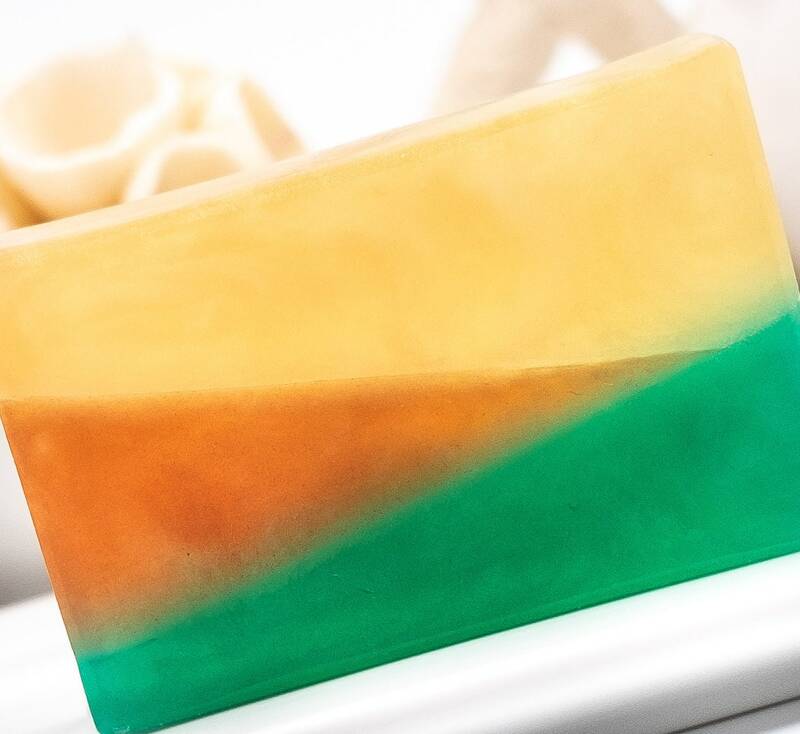 Beigetone Soaps are carefully crafted with softened edges, for comfortable use the very first time.